Sweet William has a little brother! 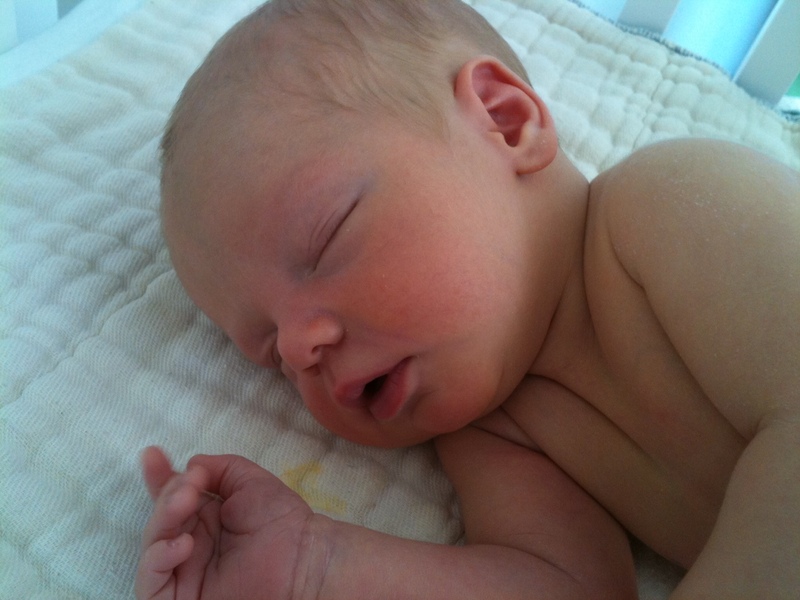 Fergus Andrew Monaghan was born November 25 at 2:34 p.m., weighing 8 pounds, 1 ounce, and measuring 20 3/4 inches long. I was very happy to deliver with Dr. Jay Matut, who is unfailingly positive and encouraging. The nurses at Roosevelt Hospital in New York City were especially kind and supportive. William is taking Fergus’s arrival in stride. I think he even likes him. A couple of days ago, without prompting, William repeatedly kissed Fergus on the forehead. Not even mama has received that treat! 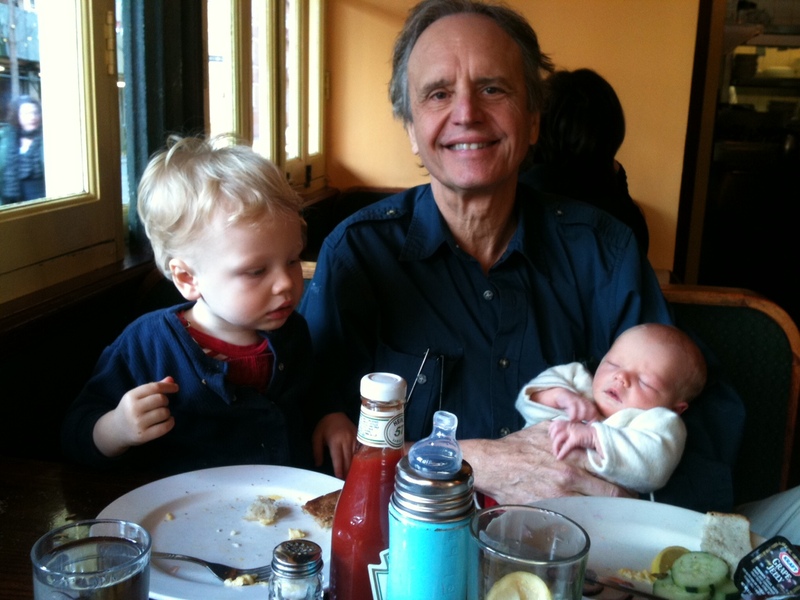 Sweet William, Daddy and Fergus out for lunch.